Gene Hudson Partners are passionate about accelerating your business priorities through strategic service offerings in order to achieve maximum performance. The collective wisdom of our team allows for a wholesome approach to delivering results. Mr. Smiechowski brings over 20 years of capital markets and entrepreneurial experience. He started trading options for a large Canadian bank-owned dealer and became the head trader of a multi-strategy hedge fund with a global focus. He went on to head the institutional sales effort for Europe and Australia with a focus on selling Canadian equities. Within this role he gained significant experience in raising capital for emerging companies across the capital structure and agnostic to sector. Most recently, Mr. Smiechowski ran a merchant bank alongside technology innovators and thought leaders. 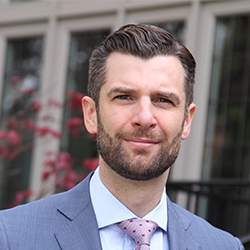 Mr. Smiechowski earned his BComm from the University of Toronto, is a CFA charter holder and licensed with the Financial Services Commision for Insurance. Rogayeh is an economist with focus on behavioral economics, game theory, and social and economic networks. She holds a Ph.D in Economics from Simon Fraser University (SFU), a MSc in experimental particle physics from SFU working on the ATLAS Detector at CERN. She also spent time at the Economics Department at Stanford University. 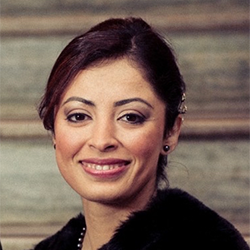 Rogayeh is an accomplished scientist with a decade of experience in start-ups, public, and private sector. Her past roles include Director of Data Science at Synereo, a Blockchain based start up, a senior associate with BeThink, and now the Co-Founder and Chief Science Officer at Theory and Practice. 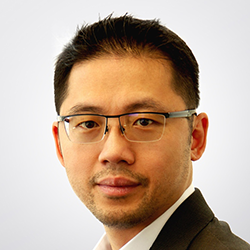 Nathan Chan was most recently a partner with leading corporate and commercial boutique law firm before beginning his own professional practice. Prior to that, he practised at one of the largest law firms in Canada. 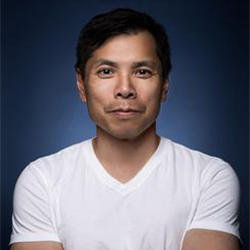 He graduated from the University of Western Ontario with a Bachelor of Arts (Economics) in 1993 and an LL.B in 1996, and was admitted to the Ontario Bar in 1998. Nathan is involved in all aspects of the business of his many high technology clients (renewable energy, managed services, software development, VARS, etc. ), including the setup of corporate, fund and other structures, joint ventures, equity and debt financings and negotiation of commercial contracts. He co-ordinates and supervises both domestic and international legal transactions for his portfolio of international clients with worldwide offices. Nathan is a member in good standing with the Law Society of Upper Canada. Brand strategist. Writer. Designer. Creative Director. Talker. Has guided small upstarts and SMEs to 500 companies. Has been a brand guru for politicians, professional athletes as well company leaders. Appeared on CBC, CITY-TV, interviewed by Globe and Mail, Toronto Star, lent an opinion or two to National Post, Marketing Magazine. Frequent speaker on brands and creativity. 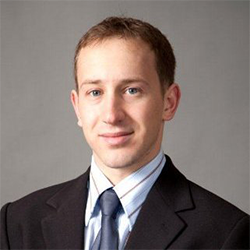 Mr. Hutnik brings 10 years of risk management and entrepreneurial experience. Over this time, he has helped develop various approach to wealth creation based on connecting quality industry players across different asset classifications. Martin’s dedicated approach to clients and commitment to the growth of the insurance industry is what drives his success. Being surrounded by a team of diverse and innovative specialists across multiple industries makes Martin more than a risk/insurance professional. Martin earned his Honours Commerce degree from the Degroote School of Business at McMaster University.